Monitored during school hours only. In case of emergency, call 911. 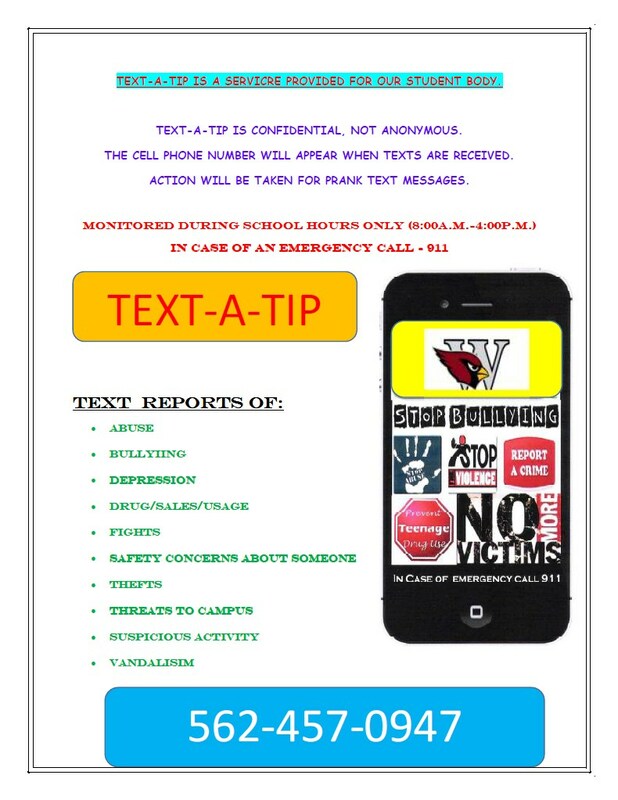 Text-A-Tip is confidential, not anonymous. The cell phone number will appear when texts are received. Police action will be taken for prank text messages.